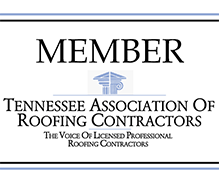 Providing top quality roofing and sheet metal services across east Tennessee since 1961. In that time we have never wavered from our founding principles to deliver quality workmanship, expert advice and bottom- line value when developing a plan to meet our client’s diverse roofing needs. We are honoured to have been recognized as a Master Contractor by Firestone Building Products over ten times. The Master Contractor Award is based on total square footage installed and Quality Points accumulated for exceptional inspection ratings on Firestone Red Shield® warranted RubberGard™, EPDM, UltraPly™ TPO, UNA-CLAD™ metal and asphalt roofing system installations completed over the past year. Additionally we are proud to have also received the coveted Firestone’s Inner Circle of Quality Award in recognition of our dedication to long term commercial roofing system quality. © Turner Roofing Company. All rights reserved.